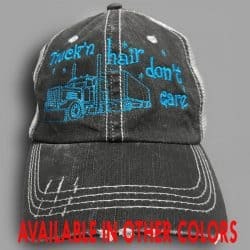 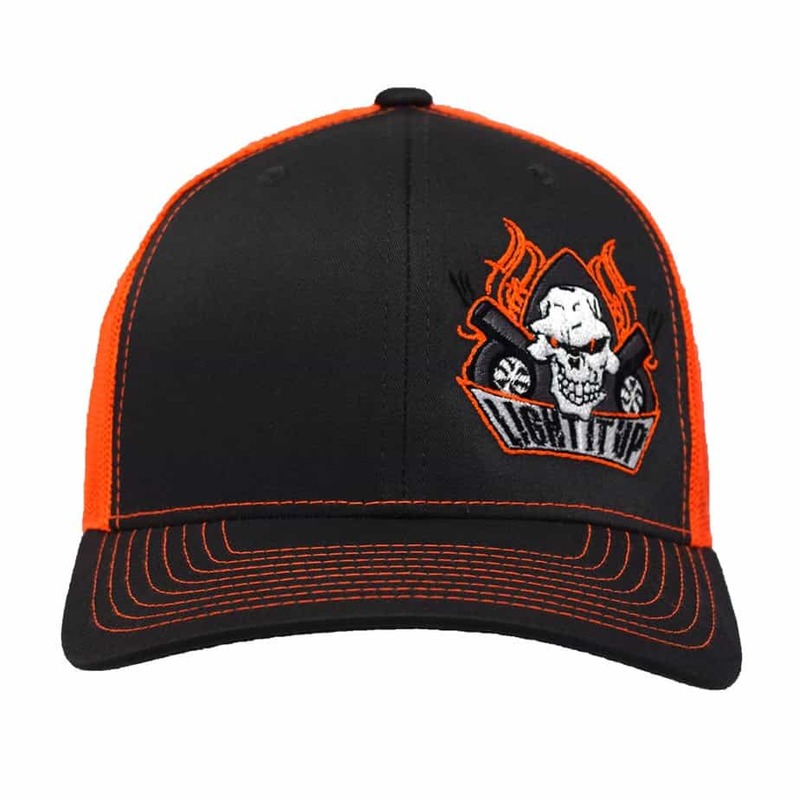 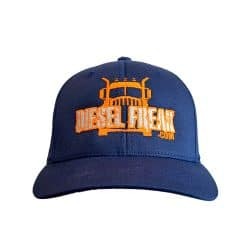 Embroidered trucker style Flexfit hat with neon orange and artwork. 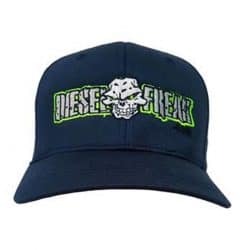 The artwork is our Light It Up logo with Skully, turbos and accent flames on the left half of the front and “Diesel Freak” embroidered across the back in a dark grey. 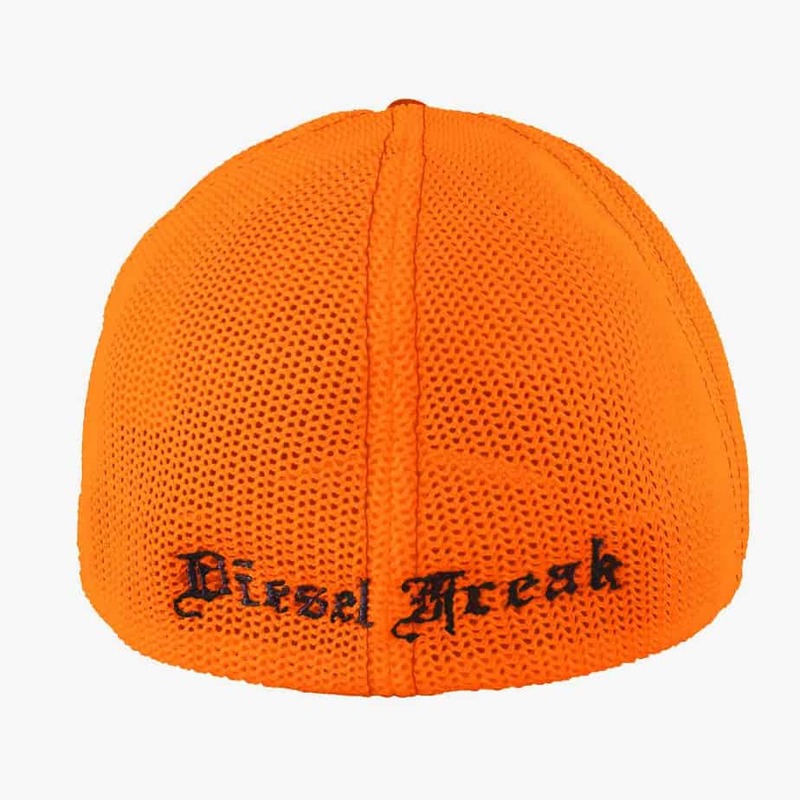 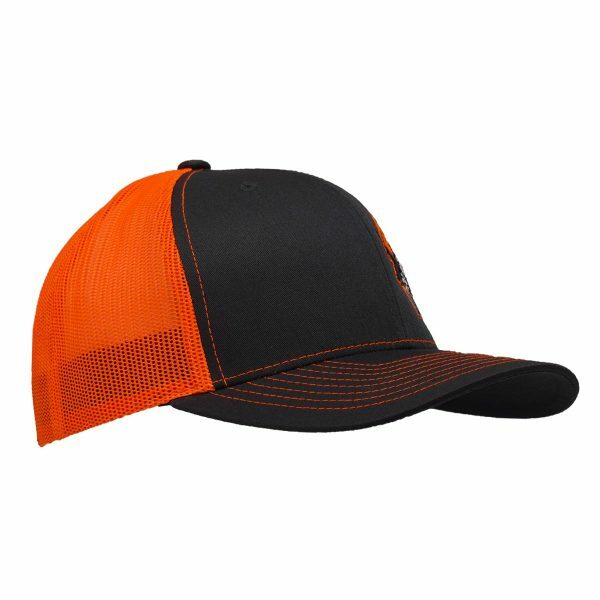 Embroidered trucker style Flexfit hat with a neon orange mesh and artwork. 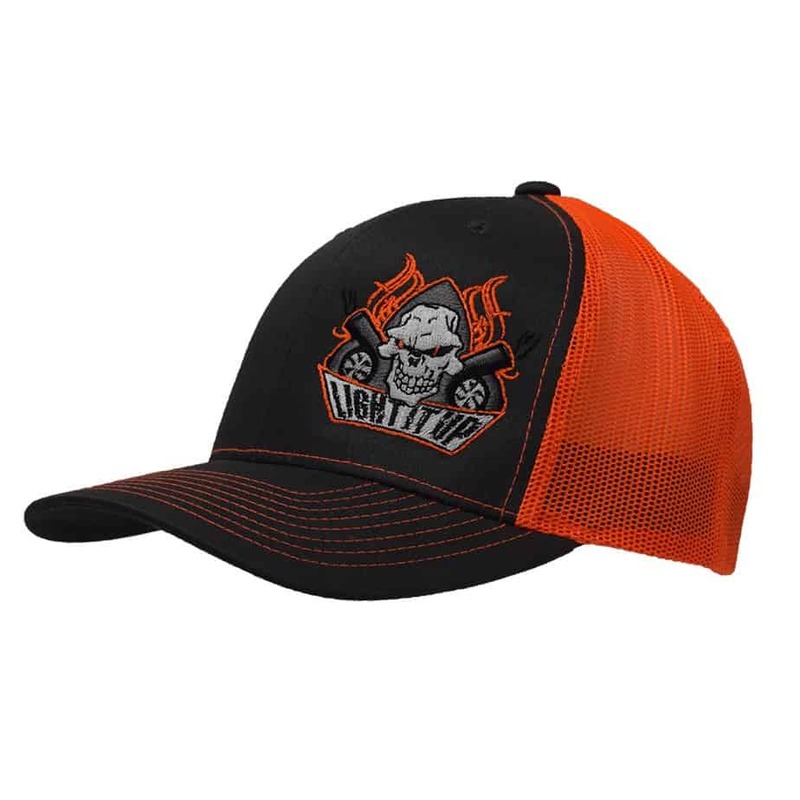 The artwork is our Light It Up logo with Skully and turbos on the left half of the front and “Diesel Freak” embroidered across the back in a dark grey.